The Minneapolis Heritage Preservation Commission has prepared a designation study for a proposed historic district in South Minneapolis – the Tilsenbilt Homes Historic District – scheduled for city approvals in 2017. This unique urban neighborhood of single-family homes was built in popular midcentury modern style. It has a rich history that represents social and cultural changes in Minneapolis. 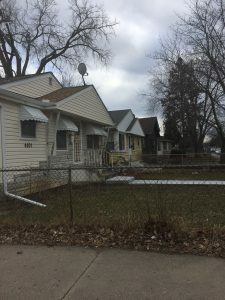 The post-World War Two housing crunch and resulting building boom transformed Minneapolis’ residential neighborhoods, but hundreds of African-American homebuyers – including many returning GIs and their families – found themselves excluded from the American dream of home ownership. Restrictive covenants kept minority populations from the growing Minneapolis suburbs through formal segregation, whereas de facto segregation and mortgage discrimination prevented minority families from purchasing a home. Pioneering builder Edward Tilsen worked with the Minneapolis Urban League, the Federal Housing Administration (FHA) and several African-American realtors (namely an up-and-coming realtor named Archie Givens) to fight back against segregation. In 1953, the group set out to build what the Minneapolis Morning Tribune called “New Homes for Negroes”in relatively under-developed South Minneapolis neighborhoods with established African-American populations. Tilsen’s company – Tilsenbilt Homes, Inc. – had already been successful developing mixed-race multi-family housing in St. Paul. 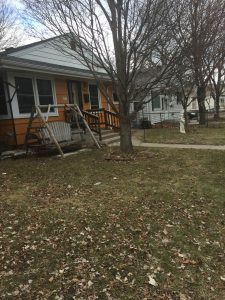 Beginning in 1954, Tilsen and his partners constructed a total of 52 homes along 4th Avenue South and 5th Avenue South in the Regina, Field and Bryant neighborhoods. The homes were single-story ranch-style houses of modest size, with their rectangular shapes lightly adorned with simple eaves, awnings and gables. Upon the project’s completion in 1957, approximately 90 percent of the homes were sold to African-American or mixed-race buyers. Today, most of the Tilsenbilt homes (38 of the 52 original structures) retain their historic character and have been named contributing properties to the proposed Historic District. Tilsenbilt Homes – now a fourth-generation family company – continues to develop housing throughout Minnesota.